The Portland Head Light was seen in September. It’s not often that you see a lighthouse go dark. 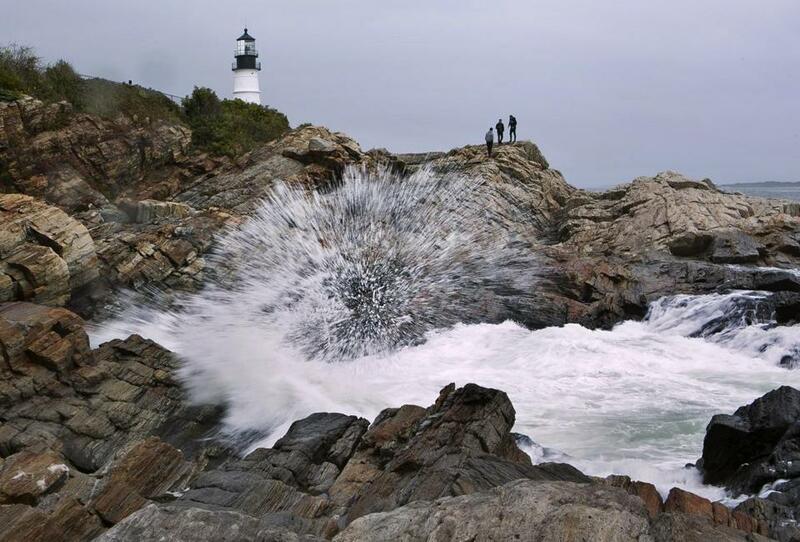 But that’s precisely what happened at Portland Head Light as strong winds whipped through the coastal town of Cape Elizabeth, Maine, early Wednesday morning. The main light of the historic beacon went out because of a power outage and apparently didn’t turn on again for several hours. The Coast Guard broadcast an alert to mariners letting them know about the outage, and by mid-morning the light was back on. Coast Guard lighthouse records show that Portland Head Light is supposed to be lit 24 hours a day, seven days a week, and if the main light goes out, an “emergency light of reduced intensity” is supposed to turn on. It’s unclear why the backup light didn’t work. On Wednesday morning, the Coast Guard sent out a crew to check on the light and to make sure everything was fully operational, according to Coast Guard spokesman Petty Officer First Class Geoff Potter. A generator should have kicked on when the lighthouse lost power, Potter said. “The generator may have run out of fuel,” he said. Potter said he was still waiting to hear back from the crew for answers. With a history dating back to 1791, Portland Head Light is the oldest lighthouse in the state and is believed to be one of the most photographed lighthouses in the world. The iconic landmark is owned and managed by the town of Cape Elizabeth, and the lighthouse keeper’s quarters is now a museum. Jeanne Gross, the director of the museum, said on the rare occasions the main light has gone out, the backup light has always worked. On Wednesday morning, she found herself fielding phone calls from reporters at the Bangor Daily News and the Globe inquiring about the status of the famed beacon. She went out to get a better view of the tower and reported back what she saw.